Please save the date for PESA’s 2018 Annual Meeting April 25-27 at The Ritz Carlton Reynolds, Lake Oconee in Greensboro, GA. 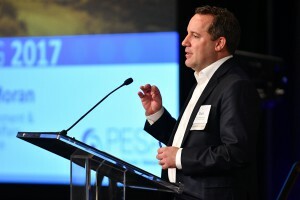 The 2017 PESA Annual Meeting held April 19-21 in Marana, Arizona focused on opportunities and challenges for the upstream industry in transition. 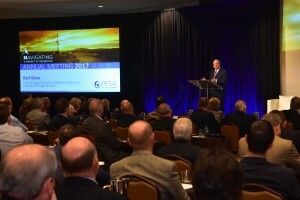 Incoming PESA Chairman Burk Ellison, President, Supply Chain Services, DistributionNOW, opened the meeting setting the tone for the conference and giving insight into the theme. “We deal with a broad variety of risks during all business cycles. Geopolitical, technical, environmental and policy risks must always be considered, but particularly in a volatile market like today. Effectively managing these risks will go a long way in ensuring a stable outlook for the oilfield service, supply and manufacturing sector. While we continue to navigate through some choppy waters, we must think beyond the immediacy of today. 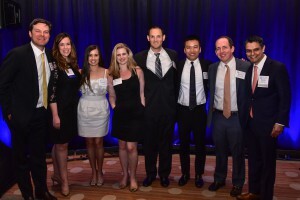 It is time to consider impending industry and societal transitions, how they will impact our companies, and how we will navigate these changes,” said Ellison. 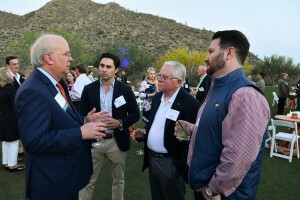 Keynote Speaker Karl Rove, Former White House Deputy Chief of Staff and Senior Advisor to President George W. Bush, shared insight into the new Administration stressing the importance of confident decision-making in the near future with regard to budget and tax reform. “The more success the new Administration has on passing laws early on, the greater and more robust the tax reform can be,” said Rove. Although fundamentally optimistic, Rove also voiced his concern about the state of the world, questioning if we, the United States, will be isolated and inward looking or active and engaged. “We need to be active and engaged or things are not going to go well,” he said. With regard to energy, when asked about Arctic development, Rove leaned toward the likelihood it will happen. “With the aid of an Alaska delegation, I think more of it will be made possible. Alaska needs it for revenue and for jobs, and the U.S. Administration will more than likely focus on fulfilling its own energy needs,” he said. 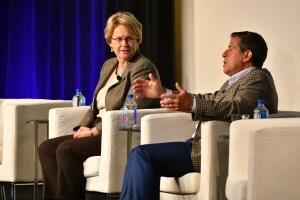 During the onshore panel, speakers gave overviews of their respective companies and insights about the current market. Outgoing PESA Chairman Paul Coppinger, Division President, Weir Oil & Gas, moderated the panel. 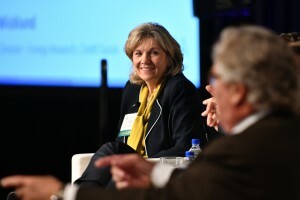 Vicki Hollub, President & Chief Executive Officer, Occidental Petroleum Corporation, discussed the United States’ oil production position to moderate oil prices, highlightin g that cancelled projects will help bolster this effort. 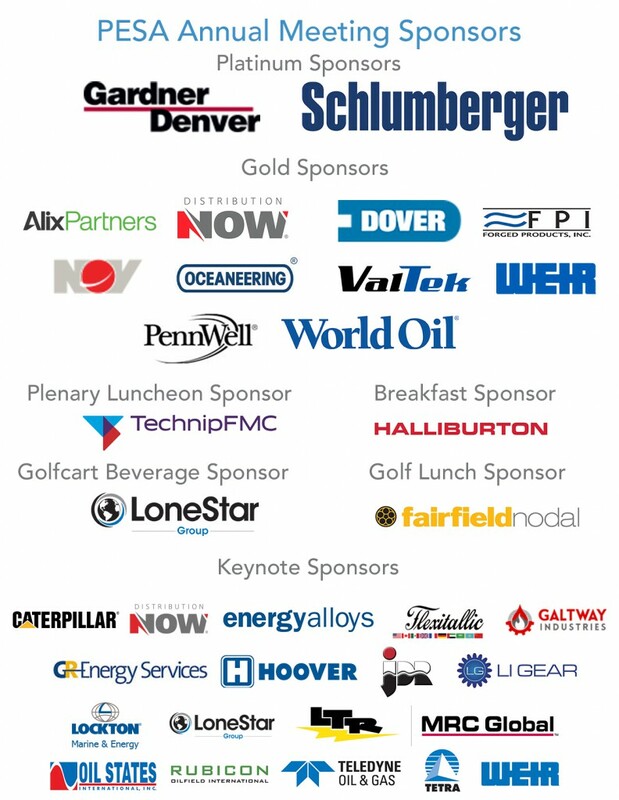 Hollub also spoke about Oxy’s oil and gas core focus in the U.S., the Permian Basin. In the Permian, a proven value-based development approach and improvements through technology advancements has earned Oxy the largest operated position in the region. She spoke to her recent visit to the Middle East, a region that is starting to understand that the Permian can produce wells even at $40 a barrel. With regard to inevitable cost increases from service companies and suppliers, Hollub highlighted some of the things Oxy is doing to offset those costs. “We are using data analytics, drilling multi-lateral wells, improving drilling optimizations and putting in logistics hubs. That is where service providers come into play. We want to make sure our cost is optimized as well as yours,” she said. 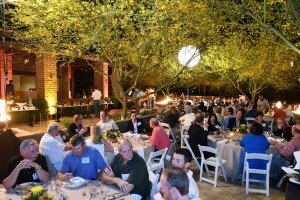 Ken Mariani, President, EnerVest, spoke to where his company stands in today’s environment. Although EnerVest is focusing on recapitalizing funds in the Barnett and the Mid Continent region, they are also deploying new capital in the Eagle Ford and actively developing high quality assets in Virginia. “Our spending is on an upward trend, primarily in the Eagle Ford; a third on pumping services, tubulars and drilling services,” he said. When asked what would move the needle with regards to technology stand point, the panelists spoke to well recovery and completion technology needing some attention. “Drilling is so efficient today, but there is room for improvement on the completion side,” said Hollub. The offshore panel, moderated by Rod Larson, President, Oceaneering International, Inc., continued discussion on what is currently driving offshore activity and provided insights into the current market. According to John Mingé, Chairman and President, BP America, Inc., the industry is in a lower (price) for longer, but not forever, environment. “The market is still robust. Oil and gas demand is going to continue to grow over the next 20-30 years and therefore we need to prepare for a longer period for prices in the $45-$60 range. The way producers and service companies work together, drive productivity and how we make returns on projects is critical,” he said. Mingé also spoke about the focus of value over volume within the offshore space. “Growing our returns and focusing on high margin projects will help grow returns of the business,” he said. Ali Moshiri, President, Chevron Africa and Latin America Exploration & Production Company, also spoke to the importance of service providers. 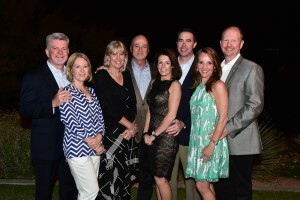 “An integrated company of our size like ours cannot operate without your help and support. At the end of the day, our industry would not be able to survive without the service providers,” said Moshiri. Moshiri was very optimistic about the role offshore will play in the future. “If you are looking for replacement ratio and increased production for the long term, you have to have a long cycle project. That is where offshore will be significant,” he said. “Although unconventionals are good for the short cycle cash flow, I think we need to make sure we are keeping our eye on the long term in deep water operations. Onshore fields that are in decline or depleted will need to be balanced with some other production. I think offshore will come back strong over the next couple of years, potentially 2019 or 2020.” said Moshiri. Rob Saltiel, President & CEO, Atwood Oceanics, Inc., spoke about being more efficient as an industry. “We need to continue to find ways as an industry, service providers working along with operators, to make more of the provinces and basins around the world more attractive at lower break-even prices,” he said, “and technology is going to play a key role relative to drilling efficiencies. 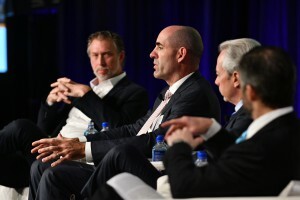 When asked about standardization, consolidation and efficiencies, the panel agreed the collaboration between the operators and the service provider is vital. “It is a challenge, but we have to work together,” said Saltiel. 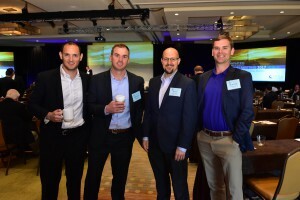 PESA’s first-ever midstream panel provided insights on the midstream space and how each of their companies are growing in the current market. Mike Howard, Chairman & CEO, Howard Energy Partners, spoke to how his business is growing, especially in the Permian and Latin America. Howard also spoke specifically to a changing market in Mexico, and how his company has leveraged their position to grow stronger in the region. Randy Lentz, President & CEO, Medallion Midstream, LLC talked about how in this industry it is a relationship business, and noted Medallion’s gathering station facilities have grown in several different basins as well as processing facilities. Rob Wingo, Senior Vice President, Midstream & Marketing, Rice Energy, shared how Rice has grown through aggressive organic leasing, primarily in the Marcellus. Over the past several years, Rice’s midstream business has grown exponentially in the Marcellus and Utica plays providing gathering, compression and water services in the area. When the panel was asked about how the new Administration would effect access rights in each of the geographies they operate in, the responses for the most part were unanimous. They believe that under the Trump Administration, there will be no more support for blocking infrastructure projects. Considering the Administration’s interest in new projects, many midstream projects may be pursued over the next four years. “As long as laws are followed as projects unfold, we are very positive about this new Administration,” said Howard. James C. West, Senior Managing Director & Partner-Oil Services, Equipment & Drilling Fundamental Research, Evercore ISI, is bullish on crude and offshore. He also expects a rapid explosion in capital spending over the next couple of years. “North America is a great market and is only going to get better this year,” said West. 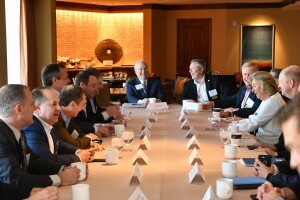 James Wicklund, Managing Director, Energy Research, Credit Suisse, agreed the U.S. is in great position, however he shared his concerns about the current environment where companies are getting price increases, hiring people and paying retention bonuses. “We have to get better faster. We can’t continue to get better at the same rate we have been over the past 12 months,” he said. 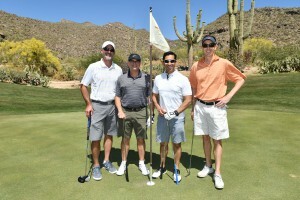 The meeting also included a number of social events, golf tournament and awards dinner in the pristine desert setting. As market conditions inevitably improve, a focus on innovation, sustainability and collaboration remains key. PESA members will continue to work together to drive innovation through dynamic change, conquer challenges and create opportunities throughout the downturn cycle and beyond.